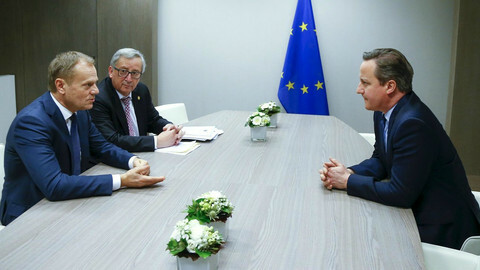 Germany and France have warned that the EU could "disintegrate" if the UK votes to leave next week, but the two founding members have pledged to fight for the bloc's unity. "If Britons decide to leave, we cannot continue the day after at 28 minus one," German foreign minister Frank-Walter Steinmeier told journalists after a meeting with his French counterpart Jean-Marc Ayrault. "That would be a shock for the EU, and we would have to watch out that a decades-long process of integration doesn't in the end turn into disintegration." 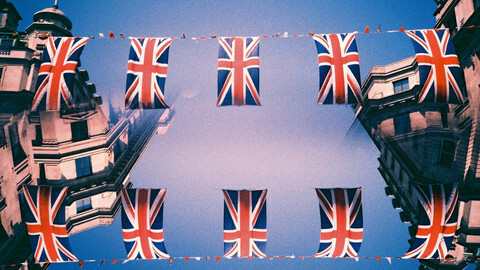 Ayrault said: "Europe would be lacking a lot if Great Britain decided to leave." 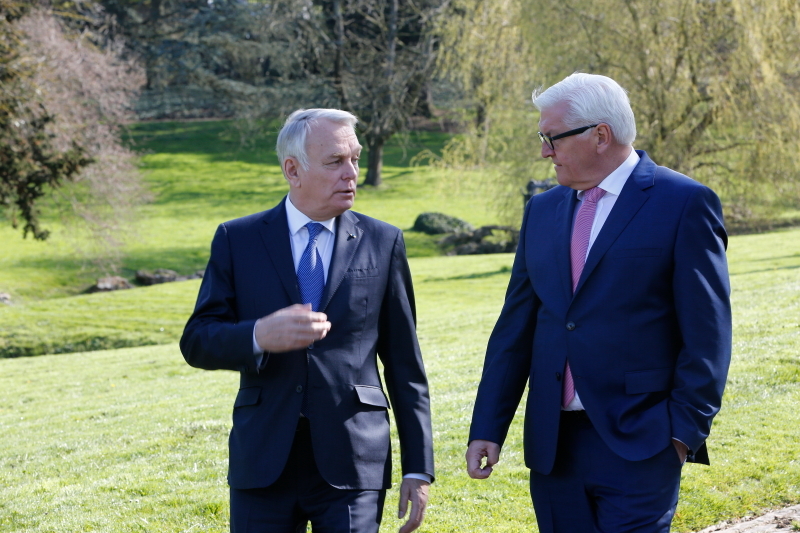 The two ministers met in Steinmeier's constituency in Brandenburg an der Havel, west of Berlin, in a personal show of Franco-German unity ahead of the crucial vote. 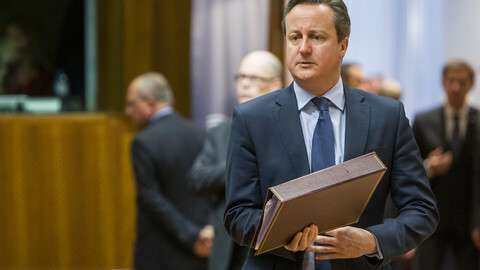 They also conveyed the message that the EU would not stop even if the British chose to leave. “Europe cannot be static. We want, and that is our responsibility, to give Europe a new dynamism," Ayrault said. 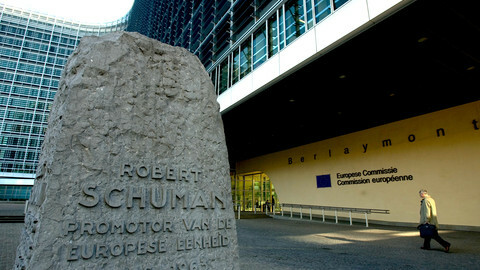 Steinmeier added that “everybody would have to ensure mutually that the European Union can hold together”. 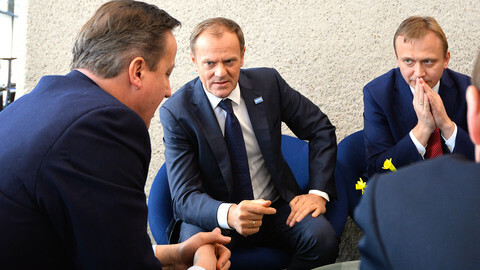 “Whatever the UK decides, we will jointly take on the responsibility of ensuring that the European Union continues and can function," he said. Germany and France's common message comes as the Leave campaign is leading in the latest polls, just a week ahead of the referendum. According to the Financial Times' poll tracker, Leave is ahead of Remain with 47 percent to 44. Reuters' poll of the polls indicates a similar trend, with 52 percent for Leave and 48 percent for Remain. Last week, German finance minister Wolfgang Schaeuble said however that "in response to Brexit, we couldn't simply call for more integration". In an interview with the Zeit weekly published on Wednesday, defence minister Ursula von der Leyen said Europe would miss British "scepticism, understatement and grandiose pragmatism". She said it was a counter-balance to German “excessive enthusiasm”, French "great pathos", and Italian "art of improvisation". 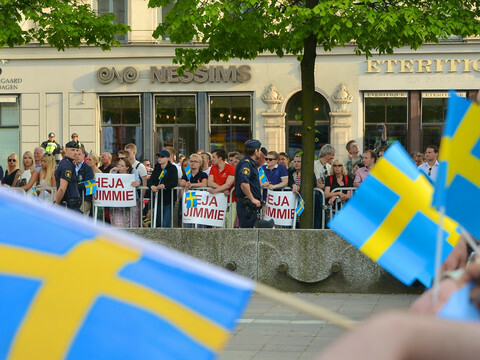 A knitted pink elephant, wellington boots and EU speech-making "clones". 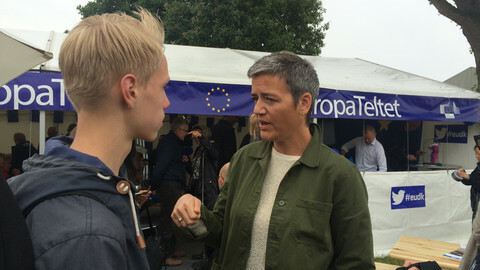 EUobserver spoke to EU anti-trust chief Vestager at Denmark's yearly political jamboree - the Folkemodet.